You might expect The 'Real' Food Inspector to be interested in 'Real' Ale, well you would be right! 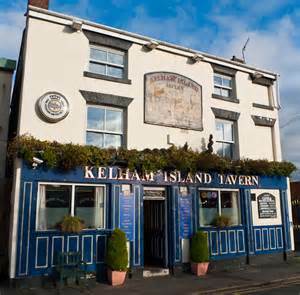 And what a delight to discover that a pub on my patch has been named 'CAMRA Pub of the Year for 2016'. A pub that opened just three years ago has been crowned the winner in the Campaign for Real Ale's (CAMRA) National Pub of the Year award. A CAMRA judge said "I cannot ever recall beer quality at this level in a pub offering this number of beers. If it was not utterly unrealistic, I might consider moving to Cheltenham" And so he should! 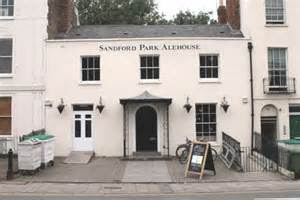 The Sandford Park Ale House in Cheltenham, which opened in April 2013, was a failing nightclub when owner Grant Cook bought it. He then transformed it into an award-winning pub. Grant put up extra walls, a Georgian-style stairwell and turned the main dance floor into a cellar. The pub has ten real ale hand pumps and one dedicated to real cider, and also hosts an annual cheese and cider festival, meaning they're able to cater for a large audience of ale lovers.Speaking on winning the prestigious title, Cook said: "At every stage of the competition, we’ve been delighted to get to the next round and of course we are thrilled to emerge from the last four on top. Winning the South West round seemed like the biggest achievement because there were so many pubs that we were up against." The judges, dedicated CAMRA volunteers, called the pub "smart and stylish" adding, "this is very much a pub for the 21st century, whilst still espousing the best traditional values. Pub of the Year organiser Paul Anisworth added: "The Sandford Park impressed the judges on every level, but especially the quality and choice of its real ales, where the scores were among the highest ever recorded in the contest. Judges also appreciated the stylish modern decor, the knowledgeable, welcoming staff and the lively atmosphere." 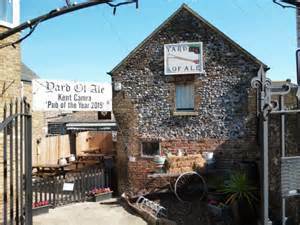 The other three finalists were 'The Yard of Ale', a micropub in Kent (below), 'The Drovers Rest' in Carlisle and 'Kelham Island Tavern' in Sheffield - which won the award in 2008 and 2006. 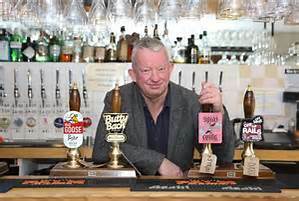 Speaking on all four of the pubs, Roger Protz, editor of CAMRA's Good Beer Guide, previously said: "Being named as one of the super region pubs in Britain is no easy task, and these pubs have worked hard to maintain a high level of calibre that other pubs around the country should look to."